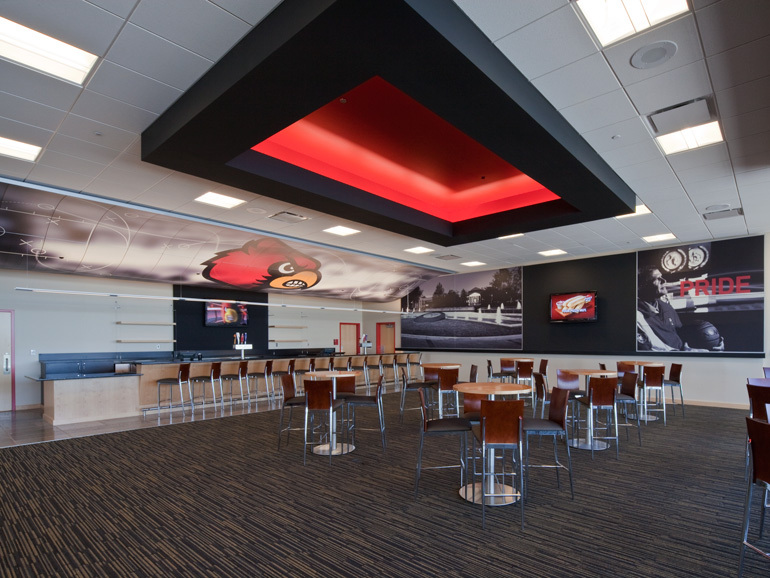 As part of the interior design finish package, the Hunter Douglas ceiling system inside the KFC Yum! 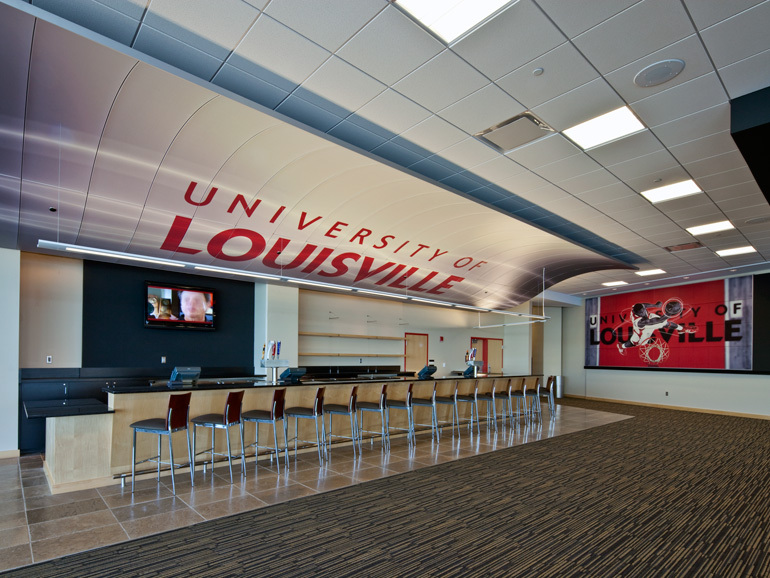 Center (Louisville Arena) is covered with digitally-printed graphics from the Louisville archives. 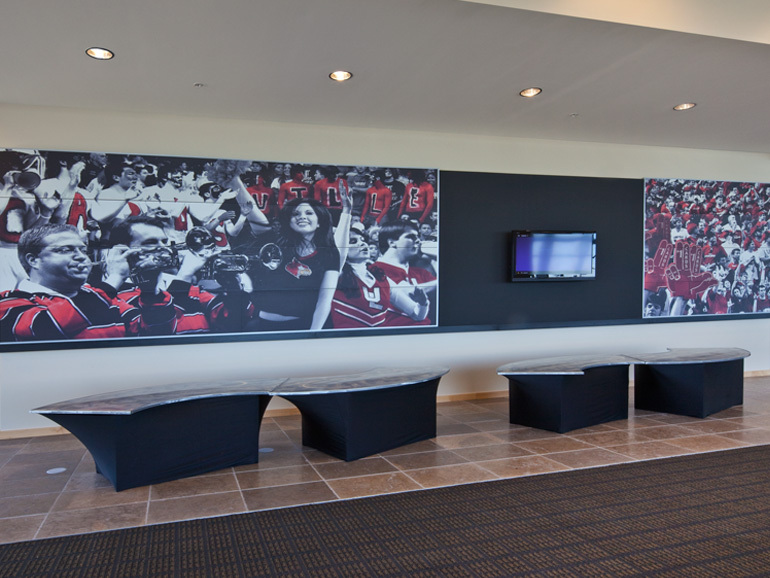 The designs compliment the basketball program’s rich history while highlighting specific accomplishments and key players. Working with Brian Mirakian and Tracy Tapp from Populous, our responsibilities included concept development, material specification and presentation documentation.